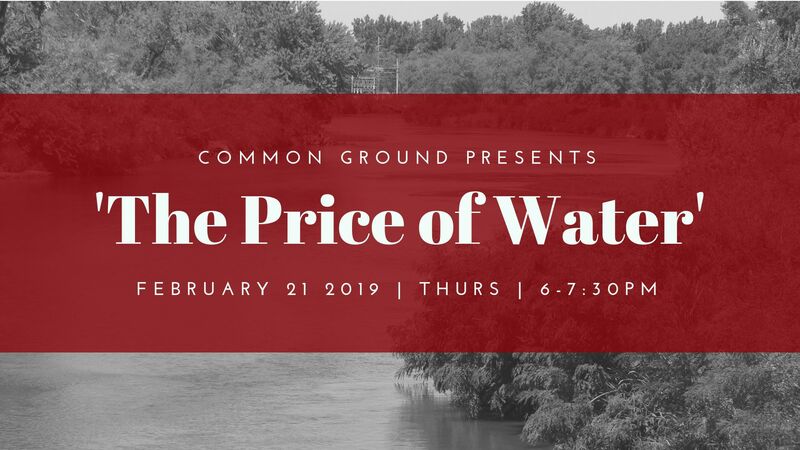 Join Common Ground for a FREE screening of ‘The Price of Water’ on February 21st from 6-7:30pm at Seward’s Civic Center (616 Bradford St., Seward, NE). This documentary explores Nebraska’s fresh water resources, who uses it and for what purpose, and how Nebraskan’s are protecting fresh water to sustain it for the future. Following the screening there will be a discussion facilitated by Nebraska Game and Parks Commission’s Michelle Koch. This event is FREE & open to all ages. “If we pollute it, we can’t drink it. If we don’t conserve it, we’ll run out of it.